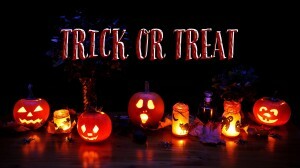 Prepare your family for trick-or-treat with a light duty two-way radio system. Can you believe it’s holiday season already? With Halloween approaching, it’s the time of year where kids go door to door for trick-or-treat. While trick-or-treat can be fun and festive, it’s important to make sure that your family and friends have a safe experience. Every family’s needs are different, but we’re here to make sure yours has the proper communication tools. While the festivities may be an adventure and collaborative for the kids, taking the appropriate safety measures can ensure everyone is in contact while still having a great time. For most trick-or-treat neighborhood ranges, Tech Wholesale recommends a light duty two-way radio system. It’s a great option for parents that want to stay in touch with their kids, as well as friends that want to stay in touch with each other. Accidents happen, especially during the night when there is reduced visibility. While a cell phone can help everyone stay in touch, nothing quite matches the convenience of pressing a button and being instantly connected. For parents that don’t want to give their kids a cell phone yet, a light duty two-way radio system is the way to go. Walkie talkies are much more durable and can withstand harsher conditions than expensive smartphones. The Motorola CLS1110 would be an excellent choice for those looking for advanced features and an easy-to-use interface at an affordable price point. It allows users to communicate clearly up to 200,000 square feet, as well as across 15 floors if used indoors. For kids, parents and friends that need to stay in the loop, this is ideal. The CLS1110 is ultra-advanced and super intuitive. Designed to deliver premier quality, this series of two-way radios is Clear, Light and Simple (CLS) — just as its name suggests. Trick or treat is about community, adventure and fun. While it’s a great opportunity for kids to have fun, making sure to take necessary precautions is invaluable. We’ve all been there: cell phones often run out of battery when you least want them too, or in the worst case scenarios break during accidents. Equip your family communication devices that are durable and proper for the conditions. If you have any questions or concerns, feel free to reach out. Our team of professionals is ready to assist you. 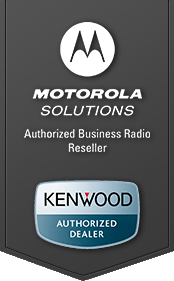 And don’t forget, Tech Wholesale offers free online shipping with orders of 2 or more radios. We hope you have a fun and safe trick-or-treat!